“One Day in December” opens with Laurie heading home on the bus after a rotten day at work on a dreary December afternoon. Out of the window she spots Jack sitting in a bus shelter; he sees her and the connection between them is immediate, intense and utterly electric. Unfortunately, the bus speeds off before Jack has a chance to get on, and Laurie spends a year scouring every pub in London for this mystery-boy-from-the-bus-stop. She eventually finds him! When he is introduced to Laurie at her best friend Sarah’s party…as Sarah’s new boyfriend. Neither of them mention the moment at the bus stop to Sarah, instead attempting to bury their feelings and be platonic for Sarah’s sake. Over ten years, we see the development of a profoundly beautiful friendship between three people; but one that is also authentic in its imperfection. Silver does not attempt to make perfect people. Instead, she delivers genuine characters that you can’t stop rooting for in spite of their very human flaws. We learn of Laurie’s struggles with grief and loss, the way in which Sarah’s perfectionism masks deep vulnerabilities, and Jack’s inner demons threaten to derail his natural talent and ambition if he’s not careful. While many of the pivotal moments in the novel take place during the holiday season; the universal themes of love, loss, friendship and growth explored in this book make it an exciting and engaging story to get lost in anytime of the year. Silver has delivered a stunning read. 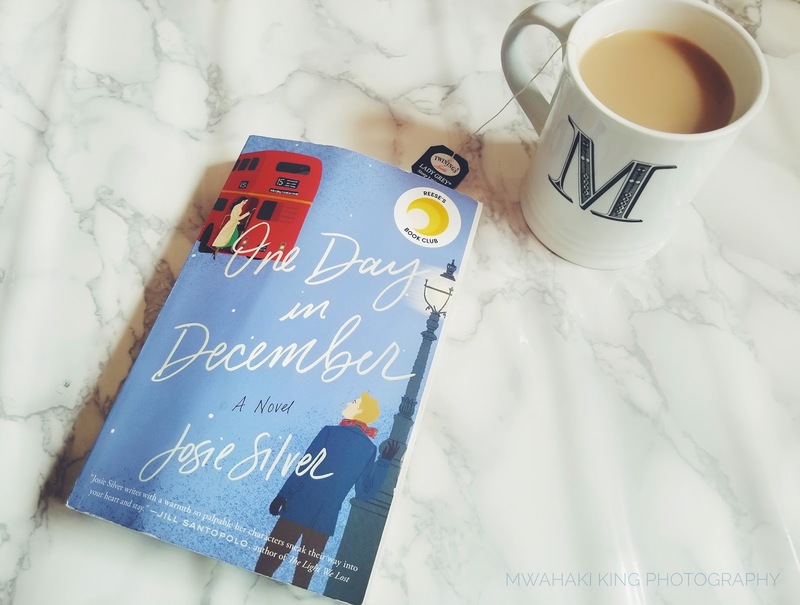 If you’re in the mood for a modern romance full of unexpected turns and surprises, a nuanced cast of characters and an unshakable bond between two people; then grab a cup of tea and flip open “One Day in December”. Whether you’ve found your perfect person or you’re still on the hunt for Mr/Mrs. Right,“One Day in December” is a great book to curl up with this Valentine’s Day. It will make even the most cynical heart believe in love again!